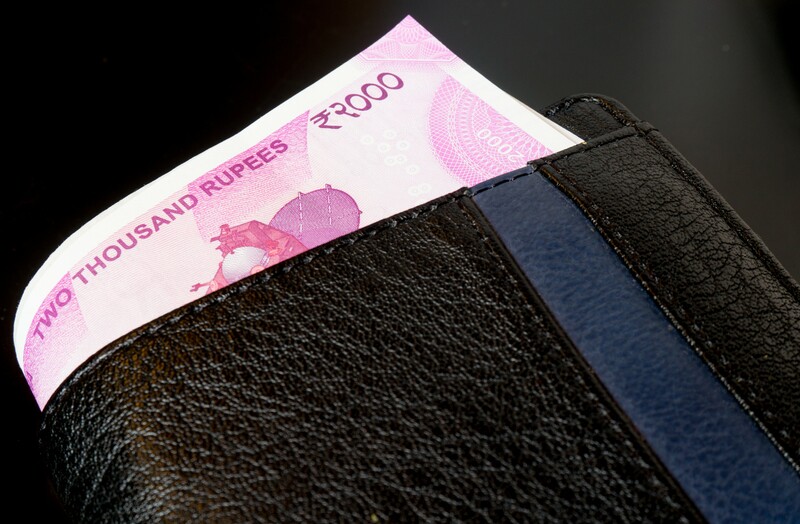 On November 8, the Indian Prime Minister announced to a stunned nation that the country’s biggest denomination notes of Rs. 1000 and Rs.500 would no longer be legal tender after 12:00 p.m. that very night. The move, which was aimed at tackling the issues of corruption and fake currency, elicited reactions ranging from shock to awe. Paytm, an Indian mobile e-commerce tech company, was thrilled. It swung into action, almost immediately going on a massive marketing and PR blitzkrieg talking about how its mobile wallets were an ideal solution to India’s cash problem. In a matter of days, the company touched a record five million transactions a day with a 700 percent increase in overall traffic. While India has several mobile wallet providers, none of them was able to move swiftly enough to capitalize on this massive opportunity. Most people believe that ‘finding the right opportunity’ is the cornerstone of a successful venture. In entrepreneurship research, study after study talks about the importance of discovering the right opportunity. Indeed, as Shane and Venkataraman show in their scholarly work, a substantial body of entrepreneurship research focuses on opportunity. At first glance, this focus on opportunity discovery does make sense. For example, if you had been the first one to recognise the opportunity for a video-sharing website (before Youtube founders Chad Hurley, Steve Chen, and Jawed Karim did), you would’ve been the one laughing all the way to the bank, right? But it doesn’t quite work that way. Most successful ventures are based on opportunities that may seem obvious in hindsight, but the discovery process is often quite different from what most people imagine it to be. In the case of Youtube, it wasn’t meant to be an alternative to TV where you binge-watch your favourite shows or cat videos. The young founders actually envisioned it as a video dating site because they thought dating would be the obvious practical application for a video sharing site. It was only after the site failed to gain traction as a dating site that it evolved into one of the most popular and game-changing innovations of our time. In the case of case of Paytm too, it started by offering mobile recharging as a service and subsequently added bill payment and e-commerce. It’s mobile wallet, which is proving to be its biggest growth driver, was launched four years after the company was founded. People talk about opportunities based on the tacit assumption that opportunities exist in and of themselves, waiting to be discovered by someone. Some people think that opportunity is sort of like a dollar bill (Or a Rs. 2000 note?) tucked under a stone somewhere. You only have to move the stone and pick up the bill. It doesn’t always work that way because—as the Youtube and Paytm examples show—founders create the opportunity through a process of enactment. What is enactment? Entrepreneurs build something based on their beliefs about what the market needs. Then they wait for the market to respond, adjust their own beliefs based on the response, and make changes to the offering. This sequence of actions and reactions goes on until the opportunity is fully formed and exploited. This is the process of opportunity enactment. In my experience, it is extremely rare to find fully formed opportunities that are waiting to be exploited. Instead, I propose that opportunities come into being as you start exploring them. In that sense, they do not exist independent of your discovery process. An opportunity comes to life only when you invest time and resources in exploring it, testing it out and understanding its role in a social context. The further along you are in enacting an opportunity, the greater the likelihood of your being able to exploit it, based on your growing understanding of its potential and challenges. In theory, it may be possible for a genius to just think hard and come up with a path breaking, fully-formed opportunity that is destined for success. Likewise, an exceptionally lucky individual who has privileged information about that dollar bill can grab it while others simply pass by. For the rest of us, it may be easier to just live our lives with our eyes wide open; tune into our surroundings; and constantly create opportunities through a back-and-forth process involving the market. Take away this enactment process, and the opportunity just remains an idea: A Bright Shiny Object that you marvel at till the next Bright Shiny Object comes along. Therefore, rather than asking, ‘Is this a good opportunity?’ a more fruitful question to ask is: Are my actions and the market’s reactions leading to creating an opportunity? Excellent article. I see a parallel in career-building. A young person needs to explore – consider (during the education/internship/real-experience process) a series of possible alternatives based on his/her interests/aptitude and market information (scope?! ), drop if things don’t work out, and hone in on a true calling. Indeed, and many young career-builders miss this reflexivity, this recursive influence of their act of exploring on the ‘career opportunity’ (if indeed there was such a thing independent of them) and vice versa. Now one understands how the idiom “Fortune favors the brave” came about! Thanks Vikas for explaining so well the organic nature of the process of opportunity enactment. I find a parallel between the opportunity enactment process and and the argument by John Kay in his book “Obliquity” – that our goals are best achieved indirectly. Yes, Kay would rather have us iterate toward a solution rather than devise a grand strategy. He comes at it from the perspective that we can’t know everything and we can’t control everything. So much so that our decisions begin to change to system we intend to influence. Kay’s work exhorts decision makers to acknowledge complexity, accept the lack of total control, be open to serendipity, adapt, evolve, and iterate. I feel founders should treat opportunities as outcomes of iterative process, rather than as objects of discovery. Once you reject the latter view, many of Kay’s prescriptions will apply.